Marvin may look like the typical, surface, image driven, young man modern society has become used to seeing, but Marvin, however is quick to mention that what can't be seen is what is most important. "I want to show the world how to live the complete lifestyle. My music is my voice, my life is my light." Marvin seems ready for pop success and public attention, but as the last name denotes, he is no stranger to a mainstream audience. Born to Marvin L. Winans, Senior, leader of the famed gospel cross over group "The Winans", and songstress and gospel great, Vickie Winans, Marvin began capturing the hearts of audiences at the early age of 5. Marvin's father and uncles, "The Winans", broke into the mainstream with their debut album entitled, "Introducing the Winans". In 1981, the song "Question Is" blazed its way into mainstream rotations across the country. Following several successful records throughout the 80s, the four brothers made their lasting mark, worldwide, with their Gold-selling album, entitled, "Return". 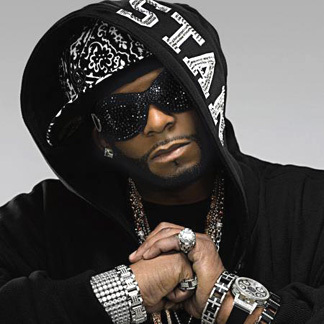 "Return" was filled with hits such as "It's Time" and "A Friend", which were produced by Guy/BlackStreet founder/member and famous producer, Teddy Riley. 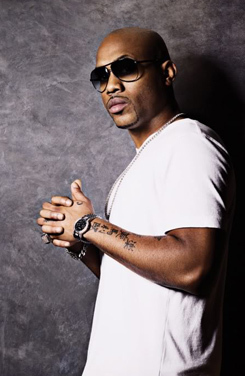 At the age of 16, Marvin took his love for music to another level, forming his first ever singing group, "One Way", with his cousin Michael Winans Jr. and friends, Karl Jackson and Lance Bennett. "One Way" performed their songs, "Never Leave Your Side" and "Stay with Me Lord", at their first ever-appearance on New Year's Eve, 1996, at Perfecting Church, in Detroit, MI, where Marvin's father is the pastor. At the age of 18, Marvin along with his three cousins, Carvin, Michael and Juan signed a major recording deal with Myrrh/Epic Records. The group achieved tremendous success with their debut album entitled "We Got Next", capturing fans internationally! Marvin and the Grammy-nominated group, debuted at #1 on Gospel Billboard charts, sold over 250,000 records and performed in front of crowds as large as 50,000, including shows in the U.S. and Europe. 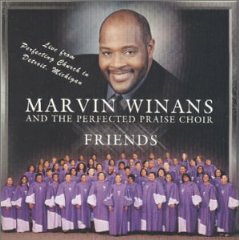 Known to their fans as "Phase 2", Marvin, Carvin, Juan and Mike joined their entire family for a spectacular Winans Family Tour in 2002, touring 40 U.S. cities. Marvin went on to pursue a solo career and released his debut album, Image of a Man, in 2008. Image of a Man works much like the youthful companion to Alone But Not Alone, Winans' father's knockout album from 2007. Both father and son seem to have a firm grasp on how to make faith-inspired music that appeals to the common man, in a language he can understand and a beat that's closer to the streets than the sanctuary.